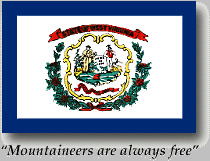 Missionary work began in West Virginia in 1832, then part of the Commonwealth of Virginia. Luke S. Johnson and William W. M'Lellin spread the gospel in Cabell County. The Prophet Joseph Smith visited Wheeling on April 4, 1832, and purchased paper for the Church's press. Forty converts were baptized that year. A branch was started in Shinnston, Harrison County in 1836. In 1837 most members of the Church residing in what is now West Virginia left to join the other Saints in Missouri. In 1838, Elder George A. Smith taught in Montgomery county Virginia and had some success. Francis Gladden Bishop served in several locations in the Commonwealth of Virginia from 1838-1839 and baptized many. Other missionaries worked in Wythe, Nelson, Bland, and Giles counties, located in Virginia. Work progressed in Virginia until the martyrdom of the Prophet Joseph Smith, when Elders returned to Nauvoo Illinois with most members following. Missionary work in Virginia resumed in 1870. In West Virginia, missionary work didn't resume until 1881 when Elder John E. Carlisle and Elder Joseph L. Townsend toured in Mc Dowell County and baptized three adults. In 1886, the Virginia Conference of the Church was divided and the West Virginia Conference was created. 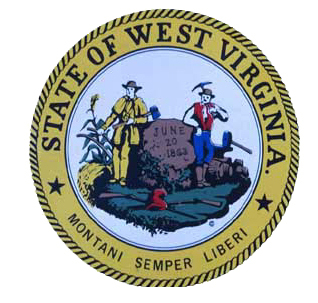 West Virginia was in the Eastern States Mission in 1897, Middle States Mission in 1902, and then back to the Eastern States Mission. Virginia was in the Middle States Mission in 1902 then was reassigned to the Southern States Mission in 1903. The West Virginia Conference was split into the North and South Conferences in 1930. The Central Atlantic States Mission was formed in 1947 with headquarters in Roanoke Virginia. In 1970 it became the North Carolina-Virginia Mission, in 1973 the Virginia Mission, and in 1974 the Virginia Roanoke Mission. The first West Virginia Stake was created in 1970- the Charleston West Virginia Stake. In 1979 the Fairmont West Virginia Stake was established. The Huntington Stake was organized in 1982 and moved to Owingsville Kentucky in 1995. The West Virginia Charleston Mission was created 1 July 1980, from the Ohio Columbus Mission, Virginia Roanoke Mission, and the Pennsylvania Pittsburgh Mission. It is the 188th Mission of the Church. The first Mission President was O. Rex Warner. The Virginia Roanoke Mission became the Virginia Richmond Mission in 1992 with nearly half of the old Roanoke Mission joining the WVCM. 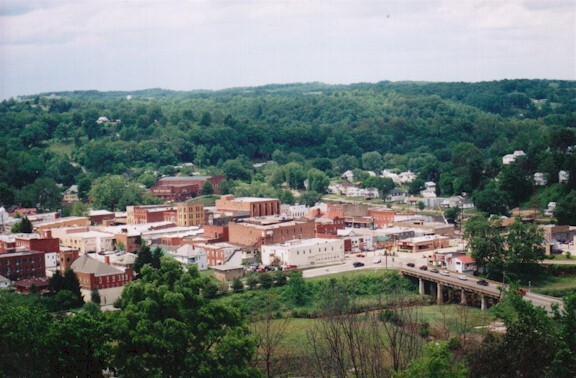 In 1999 there were 12,290 members of the Church in the state of West Virginia, 2 Stakes, 17 Wards, and 19 Branches. 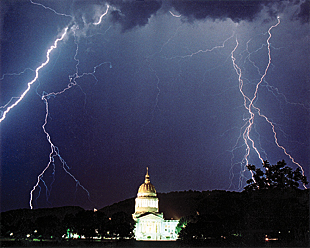 In 2005 there were five Stakes in the Mission: Charleston and Fairmont West Virginia and Buena Vista, Pembroke, and Roanoke Virginia. There were Wards and Branches located in the states of West Virginia, Virginia, Ohio and Maryland. In 2009 there were five stakes in the Mission: Charleston and Clarksburg West Virginia and Buens Vista, Pembroke, and Roanoke Virginia. *Sources used for most LDS Church related information above were the Deseret News Church Almanac 1999-2000 Edition and Deseret News Church Almanac 2001-2002 Edition. **2005 data supplied by www.newsroom.lds.org. Joseph Smith, first President of The Church of Jesus Christ of Latter-day Saints, visited West Virginia in 1832 to purchase paper for the Church's printing press. That same year, two missionaries for the Church baptized 40 converts in the state. Several people, many of whom were not Church members, attended Church meetings in West Virginia in the early years of Church organization. During one such meeting in 1837, some 1,200 people attended. The mass of Church membership in West Virginia eventually emigrated west. One convert, Bathsheba Wilson Bigler Smith, who was baptized in 1837 said, "The spirit of gathering with the Saints in Missouri came upon me. . . . About this time my father sold his farm in West Virginia and we started for Far West." Smith later served as a Churchwide leader of the women's organization, the Relief Society. In 1884, West Virginia authorities found that Church missionaries were not the robbers they had previously suspected after they searched the contents of their satchels. The missionaries distributed tracts and even preached in the courthouse. Later, a congregation of 26 people was organized in the area. Additional Information was obtained from: www.newsroom.lds.org.